Cuenca, Ecuador, is a wonderful location in which to study Spanish, a colonial city with cobbled streets, pre-Hispanic ruins, churches and colourful Indian markets. 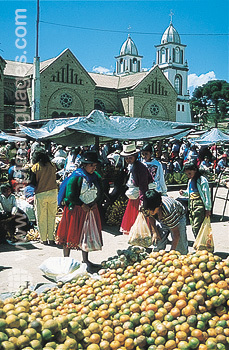 Cuenca lies in a high Andean valley (6,700 feet), 440 kilometres to the south of Quito, the capital of Ecuador. Though Cuenca is also a modern university city of 250,000 inhabitants, the city retains its colonial charm and is an ideal location for total immersion in the Spanish language and Ecuadorian culture. Our school in Cuenca, located in the centre of the city, offers Spanish language courses with a maximum of just 5 students per group. 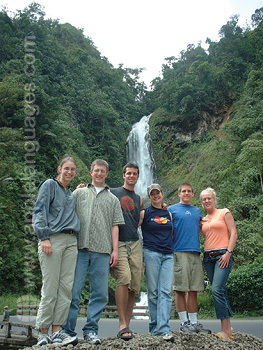 The best way to learn Spanish is to study abroad, with total immersion in the language and students undoubtedly learn faster when they study in small groups. In Cuenca, Ecuador, the small group size and the friendly nature of this historic city mean that students at our school learn Spanish quickly and thoroughly enjoy their time in Ecuador. 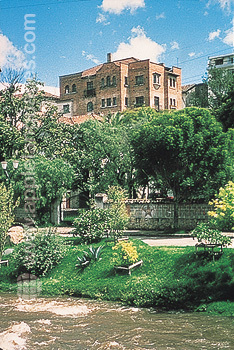 Our Spanish language school in Cuenca is ideally located, in the centre of the city, in an attractive detached building, with gardens overlooking the Barranco River. There are 7 comfortable classrooms, a library and video room. You can learn Spanish on an ‘Intensive’ Spanish Course of 20 Spanish lessons/week, or else on an ‘Intensive Plus’ Spanish course, which is a combination of the ‘Intensive’ course and 10 private lessons/week. As the maximum group size at our school is just 5 students, everyone on the course receives lots of personal attention, which naturally helps when learning a language. 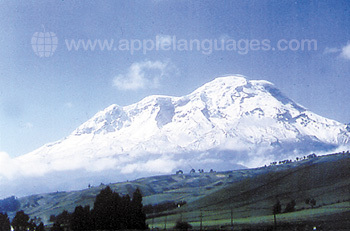 Our school in Cuenca also provides 4 additional ‘Culture’ lessons/week, to help students learn about the history and culture of Ecuador, as well as to provide extra language practise. 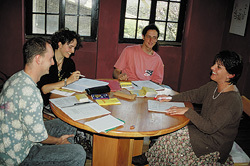 All lessons are given in Spanish, providing total immersion in the language. Our Cuenca school can arrange accommodation in carefully selected Spanish speaking Ecuadorian host families, or in private studio apartments, or local hotels. The families that our school uses all provide comfortable and welcoming accommodation in middle and upper class houses. If you want to learn as much Spanish as possible, we would advise you to stay with a host family, as then you will get lots of extra practise with the Spanish that you learn in class. 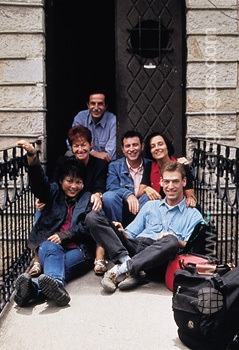 Our Spanish language school in Cuenca offers an extensive program of after class activities to ensure that you enjoy your time in Cuenca, as well as to help you practice out of the classroom the Spanish that you learn in class. These activities include a guided tour of Cuenca, film evenings and parties, visits to Indian markets and various historical sites within Cuenca, as well as excursions to nearby national parks and hiking in the Andes. Our school in Cuenca also helps students organise trips to the incredible Galapagos Islands, just 2 hours by plane from Quito. Our school can arrange an airport transfer for you from Quito Airport, where you will be met on arrival at Quito Airport and taken to a hotel, picked up from the hotel next day and taken back to the airport for your onward flight to Cuenca. Hotel accommodation, and one-way flight to Cuenca are all included in the transfer fee. Everything was outstanding, the school, the accommodation, everything!